In the spirit of the Olympics, I thought it timely to feature some of our extreme athletes of the natural world, masters of swimming endurance, strength and agility. I am of course talking about wriggly, wonderful, whitebait. They would clock up a series of gold medals, being so tiny yet having been found 200km out to sea, for their ability to climb sheer vertical waterfalls and for their ultimate endurance in surviving their many threats. But perhaps time is running out for our much loved whitebait. As I have mentioned (probably repeatedly), I hail from Southland, so whitebaiting is a huge part of my heritage. When I was a kid, I wrinkled my nose up at whitebait (much to the delight of parents), and requested the “eyes” to be taken out – there’s something rather unnerving to eat food that’s looking back up at you. The bloke quite enjoys whitebaiting, but I suspect it’s more the hour or so of peace and quiet he gets while perched on a riverbank. I go with him on occasion, but I’m not that popular, since I a) talk a LOT while the important business of whitebaiting is happening and b) cheer loudly when I see a group of whitebait edge around the outside of the net and make their way further upstream. If you listen to old-school whitebaiters, tales of taking away the bait in kerosene drums some 50 years ago are not uncommon. You’d be hard-pressed to get that kind of volume now, and despite fluctuating catches from year to year, most whitebaiters agree that catches today are far reduced. So what’s the story? If you weren’t already aware, whitebait are not in fact a single kind of fish, they are the juvenile or larval form of five different species of native freshwater fish. They grow up to become inanga, koaro, banded kokopu, giant kokopu and short-jawed kokopu. These native fish are known as galaxiids, due to the Milky Way-like galaxy patterns found on the adult fish, in particular the giant kokopu. Inanga makes up by far the largest portion of whitebait, but the other four species are in serious trouble – now as threatened as wood pigeons. When it comes to survival, these little fish are up against it. First they have to run the gauntlet of predators on the river, which includes trout, shags, eels and humans with nets. However, a more sinister and destructive presence is threatening their very existence, and indeed the much-loved whitebait fritter – the pollution of our waterways and the destruction of whitebait habitat. More than 90 per cent of our lowland rivers are now polluted, and we know that the intensification of agribusiness has contributed largely to this problem. What we are now seeing is the impact of that “progress” on the long-term survival of our freshwater fish. New Zealand freshwater ecologist Professor Mike Joy predicts that if we keep polluting at the rate we do now, our native fish will be extinct by 2050. He says we should revise the whitebait regulations, get licences for catching whitebait, that we do it for trout (a common, introduced fish) so why not whitebait (threatened, native fish)? Why is it you can sell it to restaurants? Shouldn’t we just catch a feed for ourselves and our families? He’s getting people rarked up because he wants New Zealand to have a wider debate about what is happening to our freshwater. In my view he’s got a point. Four out of five of the whitebait species are threatened, but whitebait regulations haven’t changed in decades. During that time, we’ve increased the number of cows to more than the number of people in New Zealand. Just to give that some context – Colorado is around the same size as NZ, has 20 per cent more people, and has a total dairy cattle herd of 130,000. We have 6.2 million dairy cows – for the same area of land. It’s not just about dairy cows – in fact many other types of development degrades freshwater, and, yes, urban stream pollution also plays a part, but the impact of stock numbers, conversions, and intensification in recent years cannot be denied. There are several reasons that’s a problem for whitebait. First, whitebait spawn on a spring tide, by laying eggs in the vegetated areas next to streams. They need cool, moist, protected areas, because the eggs remain there until the next spring tide when they are picked up by the tide, hatch into the stream and wriggle out to sea. Modifying riverbanks and livestock grazing up to the edge of streams wrecks the habitat, and leaves the vulnerable wee whitebait eggs out to dry. A recent study by Canterbury University found that many whitebait eggs are being sunburnt, frying before they even hatch, due to insufficient habitat protection on banks. 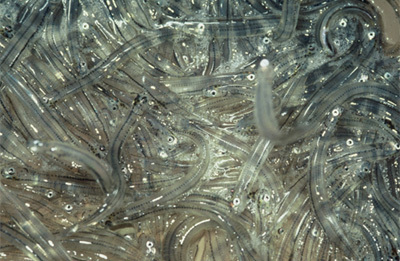 The other big problem for whitebait is pollution. Much like attempting to walk or cycle in a polluted city on smoggy days, our freshwater fish struggle to survive in polluted waterways – they need clean, high-quality rivers to thrive. But we’re running out of those. There are some (usually not for profit, or volunteer) organisations that are trying to address this, but the whitebait need the government to look out for them. Nutrient runoff and sediment filling all the spaces between the rocks in the riverbeds are simply making life impossible for our iconic fish and, in my view, also putting at risk a big part of our heritage. What will it take to stop us losing these things forever? The whitebait season opens throughout the country – except on the West Coast – on August 15 and runs till November 30, with fishing restricted to 5am to 8pm, or 6am to 9pm during daylight saving. The Conservation Department (DOC) manages whitebaiting. The Danger is actually Tench and Rudd – https://www.niwa.co.nz/freshwater-and-estuaries/nzffd/NIWA-fish-atlas/fish-species/tench these are a dangerous fish and will cause way more damage to the rivers than the traditional customary Whitebait fishing. Lake Roto in CHCH and also the Avon are already flooded with the damn things. Forget Whitebait – focus on something YOU can do to save the waterways of Christchurch. no one is aware there is an actual Tench fishing club and fully stocked ponds at the head of the Groins upper Styx river administered by the CCC. What are they doing?? If you want to be active = Protest. Even DOC cannot do a thing about it in the area.